I like big bundts and I cannot lie. Oh my god, look at that bundt! What better way to get into holiday mood than catch up with friends over cake and coffee? 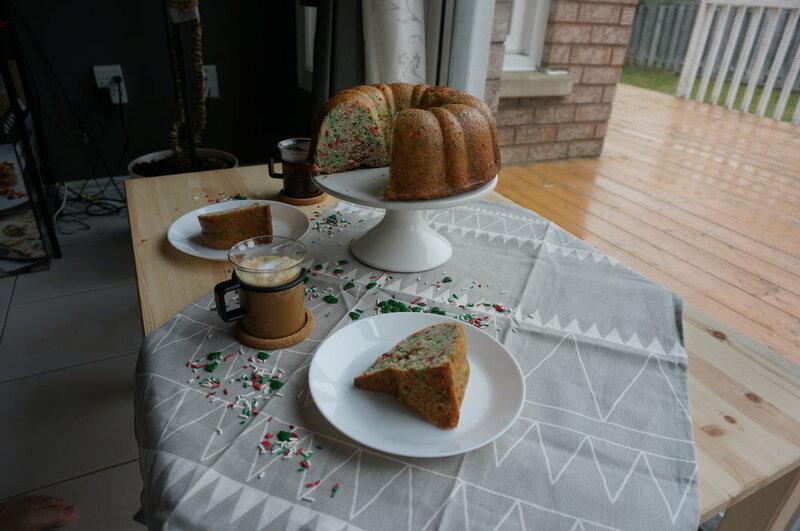 We used Martha Stewart's Lemon Bundt Cake recipe and sprinkled lots of Christmas sprinkles to transform it into a holiday cake! 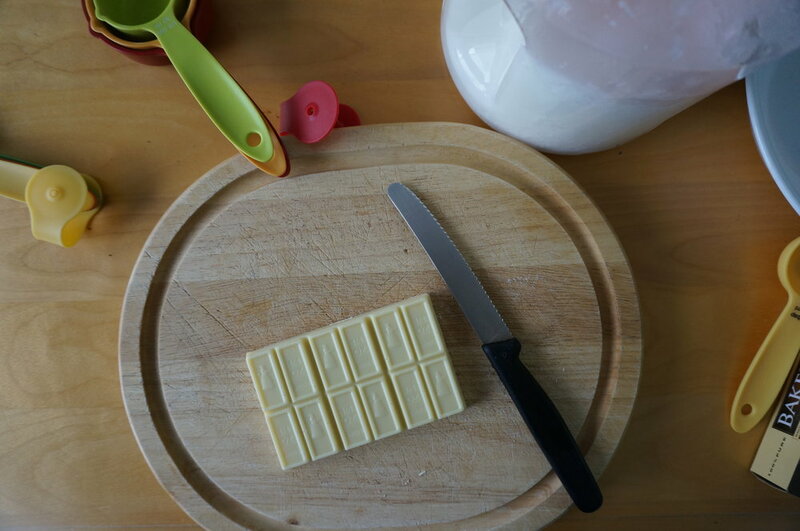 The recipe was simple and straight forward. Helpful hint: remember to bring your butter to room temperature. We can't deny that we struggled a bit when the butter came straight out of the freezer. Another technique I would have done differently was to not have the cake wait overnight before soaking it in the tasty lemon syrup. 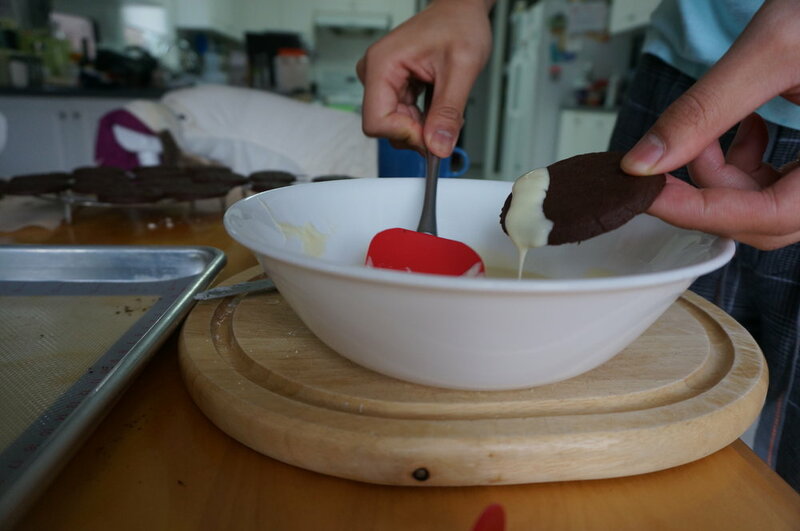 The exterior of the cake was a bit hard and crusty, which was also not absorbing the lemon syrup. There's always a next time to make it right. Have Yourself a Pepperminty Christmas! Christmas is the best time for family gatherings, feasts, snow, presents and baked goods. It's quite timely that a couple of weeks ago, I bought a 10 lb bag of flour for the reason that we occasionally use flour for our blog. So, now with the holiday season approaching, baking with flour is top of mind. 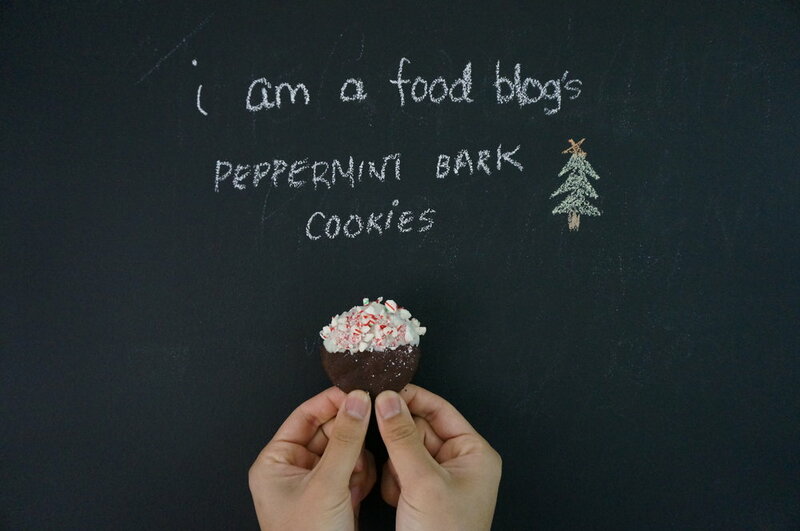 To start off the holiday season, we made iamafoodblog's Peppermint Bark Cookies. Crushed candy canes, peppermint extract and cocoa powder - everything from the smell to the sight reminds me of the festive season. Not only does it taste great, but it looks amazing. Sprinkling the crushed candy cane on top of the peppermint chocolate icing created this Christmas scene. Oh, so good. 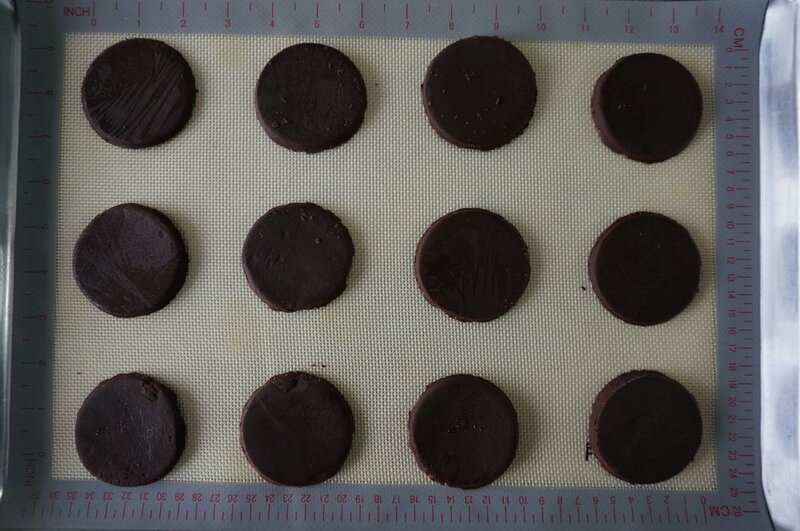 The dough needed to be extra cold, which was also tough when the mixture was being rolled out. 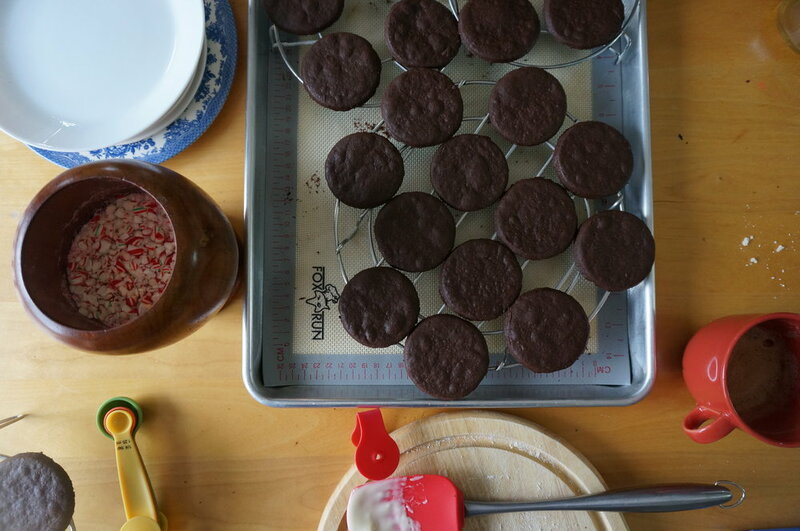 But since I'm not much of a cookie person, this recipe made a delicious crispy, chocolatey cookie and inspires me to continue baking for the rest of December.